Pick Up From Srinagar Airport, Transfer To Srinagar Deluxe Hotel Same Day, Sightseen Of Mughal Gardens: Shalimar Garden , Nishat Garden Chashmashahi Garden & Overnight Stay. 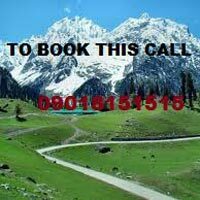 Full Day Tour To Gulmarg Visiting Khilanmarg By Cable Car Gondola Ride (At Own Cost) & Overnight Stay In Hotel. Morning (After Breakfast) Full Day Tour To Pahalgam Visiting Kashmir Valley , Betaab Valley (At Own Cost), River Lidder Etc. Evening Back Hotel & Overnight Stay. 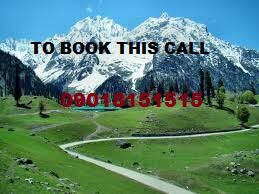 Full Day Tour To Visit Sonamarg Visiting Thajiwas Glacier Etc. Evening Back To Hotel & Overnight Stay. Morning After Breakfast Drop To Srinagar Airport For Onwards Journey.